We are participating in regional and international conferences to promote the market uptake of advanced power electronics. On 17-18 of March 2016 all project partners met at the Mads Clausen Institute (SDU) in Sønderborg, Denmark, for the Kick-off meeting. The project members from the 17 partners teamed up and discussed the detailed approaches for the work package activities. At the beginning of each project it is important to get a clear joint understanding of the envisaged project impact, objectives, outputs, roles, responsibilities, and milestones. After that common starting point the regular work can be continued by skype meetings, e-mails and data exchange. Subjects of the special sessions will be ‘Process tomography’ and ‘Power electronics in renewable energy sources and drives’. The Conference - School is intended for young scientists and PhD students interested in Materials Science and Condensed Matter Physics. ENERGETAB is the largest trade fair of modern appliances, apparatus and technologies for power industry in Poland. It is one of the most important regular meetings of the leading representatives of the power sector. Our Green PE project partner Jesper Puggaard de Oliveira Hansen (SDU) will be there and give you information about our project. The Baltic Dynamics conference is an initiative of the Baltic Association of Science/Technology Parks and Innovation Centres – BASTIC. 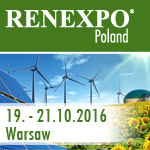 The conferences and forums of the RENEXPO Poland have become an important meeting place to gather information about current market developments and trends. This platform helps to forge new contacts and to inform about the latest know-how. Speakers from politics, research and development and professional users report on their current experiences of providing solutions for the future of renewable energy and energy-efficiency in Poland. It is a meeting place for project planners, wind power owners, municipalities, county councils, electricity trading companies, landowners, turbine suppliers, legal firms, politicians, public agencies and authorities, banks, insurance providers, consultancy firms, subcontractors and universities. * Depending on the language of the presenter these will either be in Swedish or in English. The 9th TIME Economic Forum is a common project of the two main chambers of commerce for the digital industry in Poland, that is, the National Chamber of Commerce of Electronic Industry and Telecommunication (KIGEiT) and the Polish Chamber of Information Technology and Telecommunications (PIIT). Our goal is to shape the specialisation of the Polish digital industry, according to its possibilities and aspirations. The aim of all the previous editions of the TIME Economic Forum (TIME EF) was to present the achievements of the Polish industry and to discuss the possible directions of development of the ICT industry (electronics, communications and information technologies). We proved that the digitisation process, perceived as the third stage of the Industrial Age is gradually coming to an end. In this way we wanted to demonstrate that the development of smart software commences a period of radical changes, not of technological, but also of economic and social character, which will probably be larger and more important than the changes that have taken place so far and that have been related to the fact of entering the era of industrial development. The extent to which the entire country will be prepared for the upcoming changes shall determine the future of Poland. That is why, this year’s TIME Economic Forum shall be dedicated to the issue of artificial intelligence. On 8 - 9 March 2017 Svenska Mässan is transformed to a comprehensive venue for the future of technology and innovation. 'Advanced Engineering 2017' will be held during two days and we look forward to creating an arena with a focus on high-tech engineering, innovation, development and the future of technology. The event focuses on creating an opportunity to do business and create business contacts. The organiser offer the opportunity to see the very latest, meet the industry's leading suppliers and discover technological solutions that streamline every step in Nordic industry - from development to design and manufacture. Conference centre in Tartu, Estonia in April, 24 – 27, 2017. The “FM&NT-2017” belongs to the yearly conference series started by the Institute of Solid State Physics, University of Latvia . According to the discussion taken place at the FM&NT-2012, in 2013 the conference was organized by Institute of Physics, University of Tartu and thereafter it will take place in Tartu in every third year. One year in Riga, one year in Tartu and one year in Vilnius. In year 2017 is the second time the conference will be held in Tartu, Estonia. 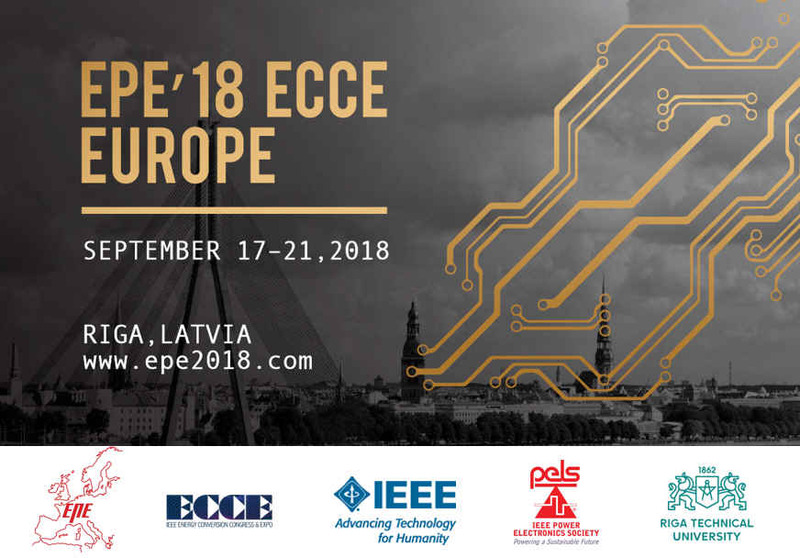 This time it will be organized by the Estonian Physical Society and University of Tartu. The scope of conference covers experimental and theoretical research on functional materials, nanotechnology, optical materials, novel characterization methods, low dimensional systems and sustainable energy technologies. EXPOPOWER is one of the most significant events for the energy sector in Poland. Exhibition includes the offer of equipment and systems manufacturers as well as suppliers of equipment and ready-made solutions for the power industry. At the trade fair in Poznań you will have the opportunity to explore market trends, exchange experiences and learn about the challenges and opportunities that the industry is facing. "Wind power Hydropower Solar power Geothermal energy Biofueles Solid biofuels (biomass) Liquid biofuels Biogas Consulting and financial institutions Energy efficient technologies IT solutions Branch institutes, chambers and associations Information services – publishing houses, media"
The new concept for HUSUM Wind 2015, with the focus specifically on the important German core market, has proven to be a complete success that was greeted with enthusiasm by exhibitors and visitors alike. The German wind market is as interesting as ever, also for foreign firms. HUSUM Wind, as the national shop window, perfectly demonstrates the diversity, cutting-edge technology and the innovative power of the German market – and in such an authentic location as Husum. 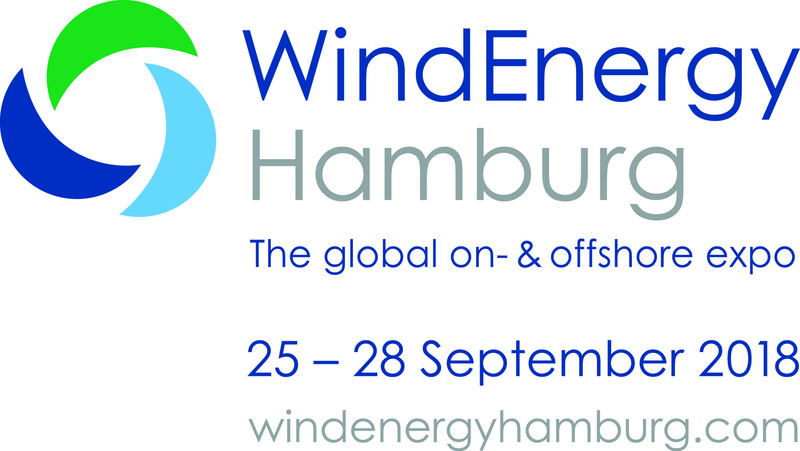 In 2017, businesses and industry representatives will once again be exhibiting their products and services along the entire value chain at HUSUM Wind. We cordially invite you to attend the most important trade fair for the German wind industry, and experience the special HUSUM Wind spirit at first hand. Wind is our thing. And always was. The 100% Climate Neutrality Conference – Solutions for crossing borders will take place on October 4-5, 2017 in Sønderborg, Denmark. This 1-Day conference will take place on the 5th of December 2017 and will be held in the Hilton Hotel at Munich Airport Germany. Parallel with the conference there will be a table-top exhibition which provides a communication platform where conference delegates and the exhibition visitors can talk to leading vendors of Power Electronics technologies. The areas historically served by silicon devices have in recent years been taken over more often by Wide Band Gap Devices. The Power Electronics Conference is an excellent opportunity to meet experts and share expertise in bringing down barriers and overcoming reluctance to use these new semiconductors. The Future Transport conference, organised by Forum Europe will take place on 6th of December in Brussels, Belgium. Organised by Forum Europe, the conference will develop the debate around transportation in Europe by focusing on the innovation emerging as a result of technical and digital progress. As more European governments look to phase out the use of petrol and diesel vehicles in their towns and cities, what are the required policy-making and industrial next steps with regards alternative fuel options? As the push towards greater electrification of the transport sector gains increased traction, what are the requirements for building out the necessary infrastructure and architecture, especially in the light of European Commission’s Europe on the Move initiative? ACI’s Hydrogen & Fuel Cells Energy Summit will be taking place in Brussels, on the 24th & 25th January 2018. The two day event will bring together key industry stakeholders from all facets of the hydrogen industry to discuss the required economical and infrastructural innovations for a sustainable future energy carrier. The key discussions will involve monetisation, latest technologies implementations, material optimisation, production and transportation. The ACI’s Energy Storage 2018 Conference will take place in Cologne, Germany on the 31st of January and 1st of February. EMV compromises the whole spectrum of electromagnetic compatibility (EMC). At the exhibition you will meet the industry's leading companies for EMC-equipment, components and EMC-services. The 10th TIME Economic Forum will gather the main protagonists of the European digital industry: companies and organisations affiliated with KIGEiT, PIIT and ZVEI. The Warsaw meeting will be attended by representatives of European companies leading in industrial transformation, commonly referred to as Industry 4.0. The essence of Industry 4.0 is to boost the development of business cooperation in all areas of economic activity. A special emphasis is put on global, vertical and horizontal, integration of value chain management processes. ACI’s 3rd Clean Energy Finance Europe Conference will be taking place on 21st & 22nd March 2018 in Frankfurt, Germany. The NIBS conference is organised by The Mads Clausen Institute at the University of Southern Denmark, the Kaunas University of Technology, Lithuania and The North German Initiative Nanotechnology Schleswig-Holstein e.V. (NINa SH eV) network, led by Kiel University, Germany. SCAPE 2018 (previously known as ISiCPEAW and IWBGPEAW) is a three-day event, consisting of two workshop days, June 11-12, preceded by one tutorial day, June 10. 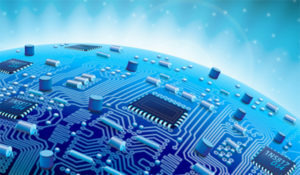 The event will cover the latest results and innovations in power electronics applications of wide bandgap materials, such as silicon carbide and gallium nitride. The two day event will bring together key industry stakeholders from the battery manufacturers, car manufacturers, energy storage component material developers, technology providers, grid operators, policy makers, environmental bodies, consultants. ENERGETAB 2018, will take place from 11th till 13th September. It is the largest trade fair of modern appliances, apparatus and technologies for power industry in Poland. It is one of the most important regular meetings of the leading representatives of the power sector. The last year fair was attended by more than 709 exhibitors from 23 countries.